The home baseball game scheduled for Monday, April 15th is cancelled due to poor field conditions from the several days of rain. We are always in need of caring, well-qualified substitutes, but Spring is an especially challenging time. Please help us spread the word! We are currently accepting nominations for the Danbury Distinguished Alumni Group for 2019. Please submit your nomination to the central office by April 26th, 2019. Thank You! Science Olympics 2019 - Volunteers Needed! The Danbury Science Olympics will be held this year on Monday evening, March 11, 2019. 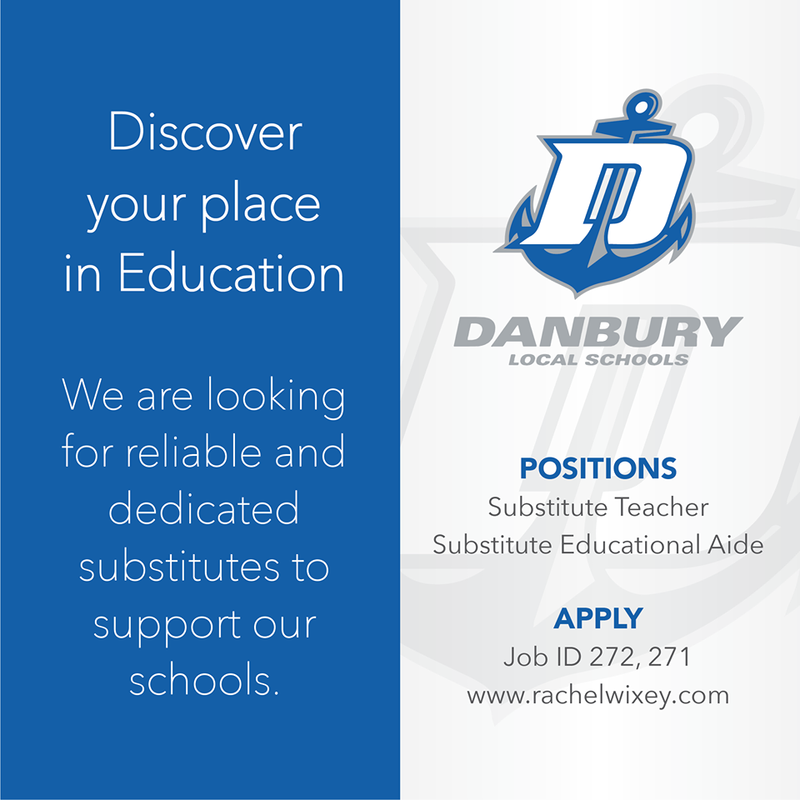 Once again the Danbury Science Department would like to ask for your support. All students in grades 6-8 will be participating in this event. The Science Olympics will be a competition involving a variety of problem solving situations. We are seeking the assistance of volunteer judges to help make this 16th Annual Danbury Science Olympics a continued success. Click here for more info or to sign up. Thank You!